One of the most popular, flexible, and most useful all-around cylinders in the world – a new aluminum 20 lb CO2 cylinder with handle. Perfect for virtually any application – beverage delivery, industrial use, aquarium maintenance, hydroponics, and more. 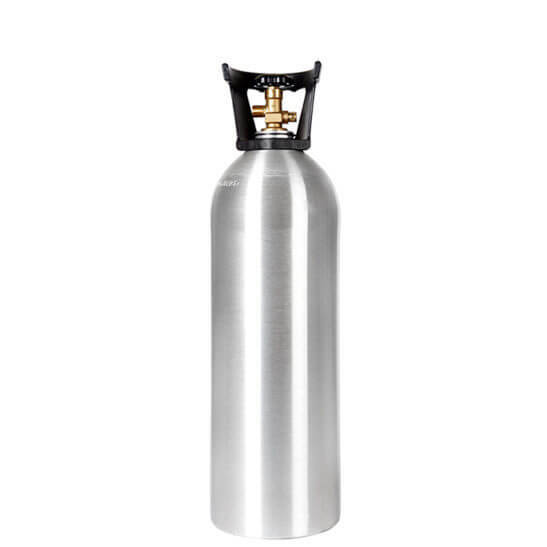 This CO2 tank carries the same premium features as all of our aluminum carbon dioxide cylinders – precision-crafted bodies with thick, durable walls, pre-installed CGA320 valve, built-in corrosion resistance, great low-temperature performance, and brushed exteriors.